Having already read and reviewed Darkly Wood by Max Power (my favourite book back of 2014), along with several other of this author’s books, I was delighted to see that he had written a sequel, Darkly Wood II. 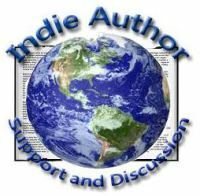 As well as being an author, Max Power is a prolific book reviewer/blogger, and a valued contributor to the Indie Author Support and Discussion Fb group. Further information on Max Power and his writing can be found at the following social media below and via other links at the end of this blog post … and speaking of blog sites, when you’ve finished all the author’s novels, and are eagerly awaiting the next (I’ve still one more book to go), his blog site provides an equally entertaining collection of his other writings to fill the gap. Having read and enjoyed the author’s first book in this series I was looking forward to reading the sequel. I must confess I had some doubts that it simply wouldn’t have the same impact second time around given that some of the mystery of Darkly Wood would already have been revealed to readers of the first book. I’m happy to say that Darkly Wood II is every bit as creepy and mysterious, and even better than Book One; Max Power doesn’t just write stories, he literally sculptures every word and sentence with the consummate skill of a Michael Angelo, bringing to life the image in the reader’s mind like the subtle brush strokes of the classical artist adding that indefinable something extra that creates a masterpiece. Like its prequel, Darkly Wood II embodies many different themes i.e. bloody and horrific murder, tragic romance, unrequited love, mysterious disappearances, the paranormal, and a host of others. Likewise, the format is similar to the first book in that it reads much like a book of short stories, all tied together by the central theme of the mysterious Darkly Wood. This time, however, there is more of a central character and story in the form of the ‘evil personified’ Wormhole, a man (or monster?) every bit as mysterious as Darkly Wood itself, anchoring everything together in a more coherent manner. Readers of the first book will immediately see that that events have in their way come full circle, with two new generations of characters following on from Book One. Holly Coppertop, the granddaughter of Daisy May from the first book, having read the mysterious Tales of Darkly Wood finds herself similarly trapped and imperilled by it. Can Daisy May draw on her own experience and nightmares of that place to save her granddaughter and her daughter, Rose? And will she have to sacrifice herself to do so? But apart from this one nod to a chronological timeline, Darkly Wood, its characters and their stories, all appear to exist in their own particular corner of time and space, detached from the real world. The many twists and turns here are only matched by the equally rich array of fascinating characters. Who could not be intrigued to know the background and stories of the other equally enigmatically named cast? Charlie Callous Colson, Blenerhorn Mastiff Wormhole, Matthew Squelby, and Cathecus Flincher are but a few of the new characters to wet the appetite. And lastly, there’s Darkly Wood’s strange metamorphosis of two of them into the ‘beast boy’ Woody twins? Whilst this book is hardly lacking in blood and gore, its strength, readability, and sheer enjoyment stem from the author’s unrivalled ability to weave a complex array of gruesome and creepy tales and folklore into something far greater than the sum of its parts – it’s like the stories of Hansel and Gretel have been given an Edgar Allan Poe make-over to form one super sublime myriad of horror. A must-read for any fan of the classical and psychological horror genres. Can’t wait to for book three in this captivating series! This is a book that embodies horror, romance, and the paranormal in a way I’ve rarely seen. With a good opening narrative, right from the start the author conjures up an atmospheric sense of creepiness and the macabre reminiscent of a latter-day Edgar Allan Poe or Dennis Wheatley, so much so that one can almost imagine Christopher Lee or Vincent Price playing the part of one of the characters, particularly that of Lord Terrence Darkly. Initially we learn of the mystery and horror of Darkly Wood by way of the central character, Daisy May Coppertop, reading through a copy of a book of tales about Darkly Wood – a book within a book so to speak but at that point that’s all they are, just stories, but certainly nothing to be alarmed about, at least not yet. What starts off as Daisy and Benjamin, intrigued by the apparent sight of a strange looking boy in the distance, taking a seemingly innocent and pleasant walk along the edge of a nearby woodland soon turns into a dark and fear filled battle not just to escape its clutches but simply to survive. Faced with ever-increasing danger and a sense of time running out for them, the bond between Daisy, and Benjamin, her new found friend from the local village, grows into something much more than simple friendship or first love. The writing technique is both clever and imaginative, using descriptive narrative to set the tone and atmosphere early on, using the opportunity to inform the reader of many nuggets of information that come into play later in the book, gradually introducing just the right balance of dialogue and action. The numerous but short chapters make for a very readable style of writing, and by way of the different tales of the book within the book, the author keeps the story alive and fresh throughout. In books such as this the author often requires the reader’s implicit consent to suspend their disbelief, but here the reader is left in no doubt whatsoever as to the mystery and horror of the wood; in one of the chapters the author cleverly demonstrates the ‘other worldliness’ of the wood when in one particular tale, someone trying to find their way out of the wood tries using their field craft skills to escape only to find all the laws of nature and physics don’t seem to apply in the heart of Darkly Wood. As the story progresses the seemingly unrelated tales of the wood draw closer to form an intricate pattern; surprises and shocks keep the reader entranced, drawing you in just as Daisy and Benjamin are drawn further and further into Darkly Wood. Filled with twists and turns and new revelations at every juncture, an amazing and diverse array of characters, and a conclusion as eerie and unexpected as anyone could imagine, this is definitely one of my favourite reads of 2014.